Here are my upcoming events for August! Beginning August 1st, I will have my artworks on display at the Mustang Public Library in Mustang, Oklahoma. They have a great community center here; I have six paintings hanging in one of the rooms on the south side of the library stacks. They will be on display here until September 30th. Mini Mermaids will be at my booth at the Art Crawl! On August 3rd (Friday Night), I am participating in the Spaced Out Arts Crawl on Campus Corner in Norman. Several local artists will be in front of the Campus Corner shops across from the OU North Oval, so come find me! 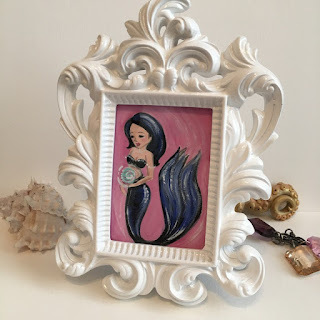 I will have a wide array of my small originals and some prints...and I will have the mini paintings and mini mermaids out too! Ula will be our mermaid on August 4th! Come join the fun! Speaking of mermaids... On Saturday August 4th, I will be teaching another class at MIY, LLC in Tecumseh, and it's a Mermaid class! 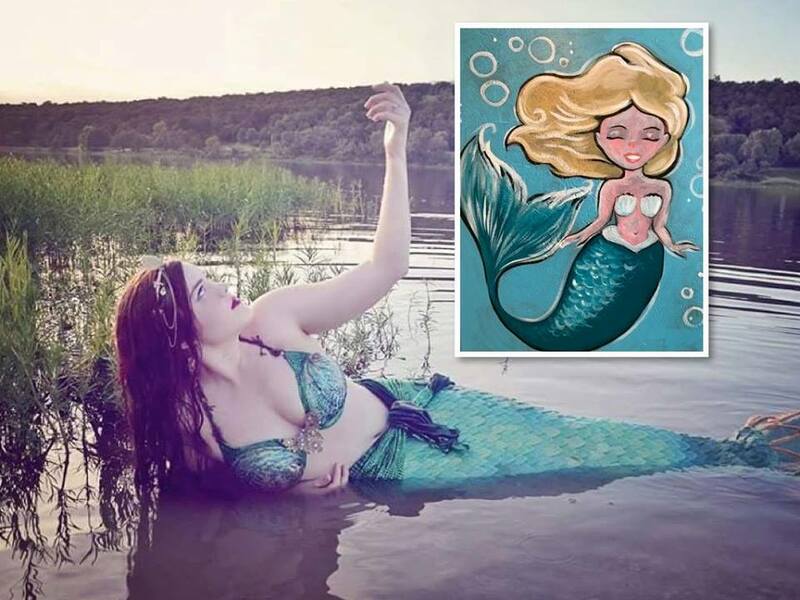 We will be painting pin-up style mermaids on large 16x20 inch canvasses, and we will also have a real live Mermaid there to inspire us!! Call 405-441-0579 to book your spot! More info at the event link here. For more information on other shows and art please check out my instagram.